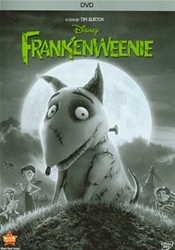 At any rate, we thought for sure that this film would be a "no go" for our kids because of the themes surrounding the death of the young boys dog, as well as the "monster-like" animals brought back to life and the overall creepy vibe of the film. 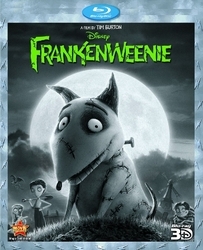 However, while at a recent trip to Disneyland, we took them into a special Tim Burton/Frankenweenie exhibit which gave an overview of the film and showed some of the sets used in the actual picture. To our surprise, our kids expressed interest in seeing the movie. Because our son especially loves stop-motion films and even makes his own, we thought we may try to go ahead and take the kids. Seriously, this is one of the best films we have seen in a long time. It's a shame it didn't do as well as it should have at the box office. However, we're certain that it will find a following on video. It is an absolutely charming film, impeccably crafted, and infused with tons of heart and soul. It is certainly a piece of work the filmmakers should be proud of. And, it is definitely a gift to audiences around the world. We give it our HIGHEST RECOMMENDATION. Enjoy!! !